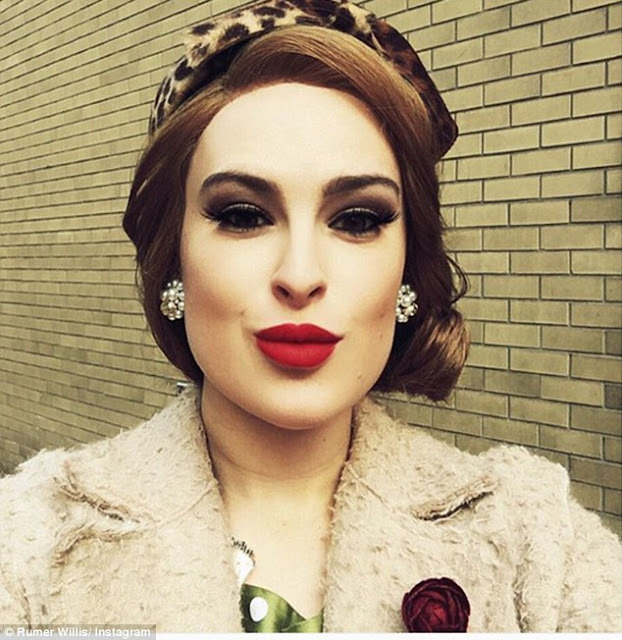 Rumer Willis just wrapped up her Broadway debut as Roxie Hart in Chicago this past week. But it looks like the 27-year-old has gotten a taste for the genre as she was spotted filming an upcoming musical movie Hello Again in New York City on Friday. 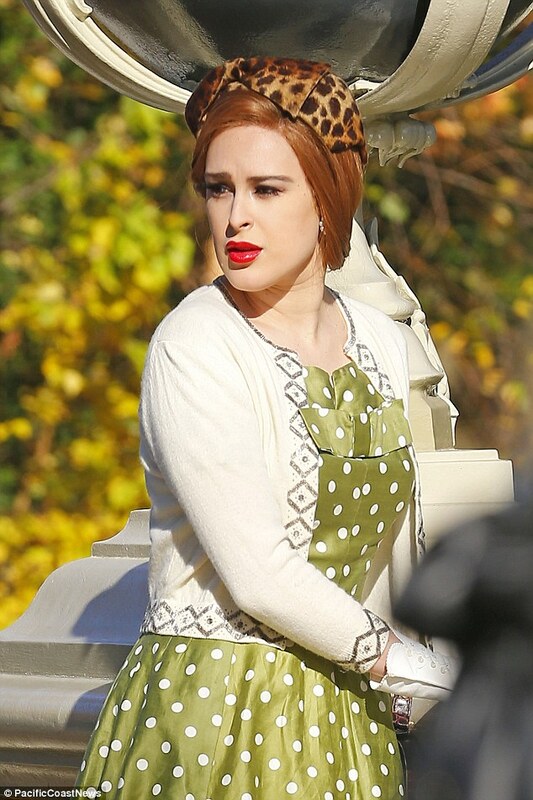 She gave off vintage vibes in a patterned, green dress with a full skirt while shooting scenes for the film at the Bow Bridge in Central Park. Rumer wore a cream colored cardigan with three-quarter length sleeves and shimmery, silver geometric embellishments along the sleeves and down the front. She coupled the sweater with a bright green dress which was form-fitting to show off the Dancing with the Stars champion's trim waist. 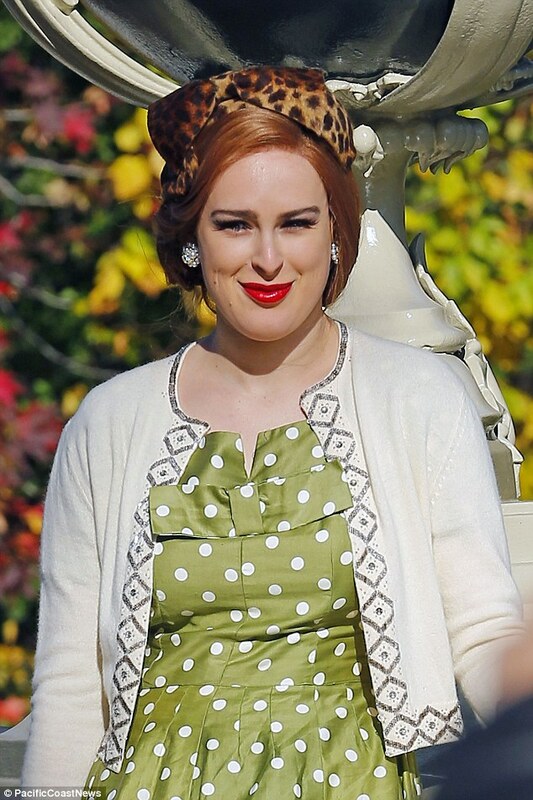 The fitted dress, which hit at just below her knees, featured white polka dots and was embellished with a large bow across the chest.